MUTA - TECH Powerful and Cheap Web Hosting and Domains for your Website. Media Streaming Server Hosting or Live Web Casting – Audio / Video Media Streaming is delivering audio / video content continuously over the web. 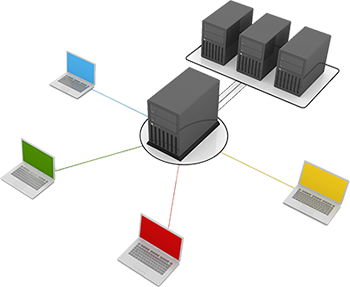 Dedicated Servers Linux is powered by Intel Xeon Processors, 1 Gbps Port Speed, FREE cPanel/WHM Control Panel, 5 IPs, Arrow Server Platform. Up to 300% faster access to your files and databases. It is necessary to find the best way to recover the important data in case of data loss. We are Offering Safe, reliable, secure, automated online backup. We offer SSD storage and the latest technology so you will receive 99% server uptime. We are award winning 24 x 7 friendly customer support. Start with the lower plan as per your wish and move to higher plans as your website grows. 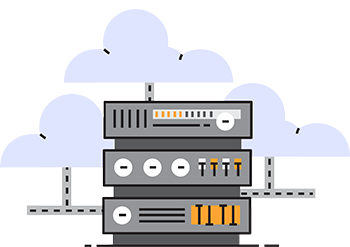 Renew all your hosting services on the same great price you signed up for. MUTA-TECH is a leading technology-focused business solutions provider based in Africa, Zambia. Through mobile apps, websites, software development, digital marketing, and consulting services, MUTA-TECH serves a variety of businesses in the consumer products and service industries. We do not sell products, we design, build, implement, and support high-quality business solutions. Our customers range from individual start-ups, small business, to medium/large organizations. The broad range of skills combined with experience makes us stand out of the crowd. Established in 2010, Muta-Tech is a boutique web design and development company based in Africa, Zambia. Muta-Tech differentiates itself from other web design agencies by its decade long experience, mobile friendly responsive designs, SEO compliance practices, professional project management, and long-term customer-designer relationship. Muta-Tech builds creative, efficient, and user-friendly Net Web Solutions. Microsoft .NET is a powerful software development framework that allows skilled .Net developers to produce robust, scalable and cost effective solutions. It is a propitiatory software development framework owned by Microsoft. At Muta-Tech, we have developed custom applications, implemented ERP and CRM systems for a diverse range of clients across a wide range of sectors and industries. We work with industry-leading technology, re-use a wide range of existing components, and services to help rapid development of software solutions. Our team works hard 24 / 7 to keep your business up and running and this is what makes us different from others. We monitor all our customer's websites with our unique antivirus and monitoring software. When we see a suspicious activity our skilled team of server security specialists takes an action to protect our servers and our customer's websites. We constantly perform security auditing to keep our customers safe and secured. It is necessary to find the best way to recover the important data in case of data loss. We are offering safe, reliable, secure, automated online backup. We provide weekly backup facility to our customers.